We supply a wide range of walkie-talkie radios and associated accessories to suit most budgets and applications. There are several factors that you should consider when deciding what radios to buy. The first choice to be made is whether to go for the cheaper, but less powerful and so shorter-range, "licence-free" or "PMR446" radios, or for the more powerful and longer-range radios for which an Ofcom licence is required. "Unlicenced" radios can only legally have a power output of 0.5 watts - what ever brand you choose, they all will have the same power and so will have very similar range. The "Licenced" radios can be significantly more powerful at 3, 4 or 5 watts, and so will have significantly longer range, again all brands will have basically the same power and range. A basic licence costs only £75 and is valid for five years, and if you buy "licencable" radios from us, we can do your licence application on your behalf. Another factor to consider is build quality and durability. In general, the more you spend, the tougher and longer-lasting a radio will be. We sell cheaper but fairly "light duty" radios such as the Cobra MT975 and the A66 right up to much better quality but more expensive walkie-talkies such as the Kirisun PT568 and Entel HX483 and the totally submersible Entel HT782. What you require depends on how much actual daily use the radios will get, and in what circumstances ("outdoors on a building site, used all day" needs a different radio to "in a school for our once-a-month fire drill" for example). 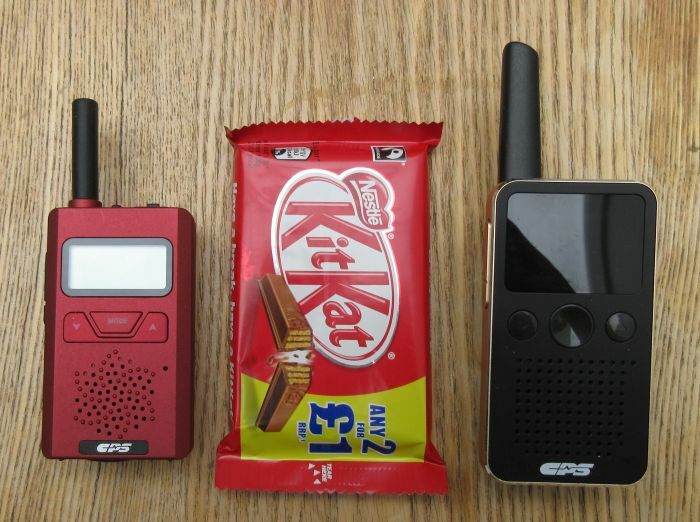 We sell some very tiny radios indeed, such as the CP183 and CP228, and then much bigger ones too. If smallness and light weight is what you need, our range of CPS Telecom radios is your best bet. These small radios are popular in environments such as retail, hotels, restaurants etc. The lightest higher-powered radio we sell is our own-brand Amherst A66. We sell some radios that are mostly or completely water and dust proof, such as the CP226, Kirisun PT568, Kirisun PT6700 (completely immersible) and the Entel HX446L, HX483 and HT782. They also have extra-loud speakers so they can be heard in noisy areas, and are a good choice for outdoor use such as hiking, climbing, or for use on building sites etc. IP ratings consist of two numbers, the first relates to dust resistance, the second to water resistance. The higher each number the more resistant to dust and water the radio is. Look out for higher IP ratings if you want walkies that will survive in a dusty or wet environment! Please take time to read this web site, and consider the different options and types of walkie-talkie available, and do not hesitate to call us, or send us an email, to discuss your radio requirements.